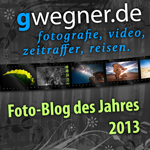 This post was last modified: 2015-05-07, 21:45 by gwegner. With LRT4, when you point it to the folder you just created, it will start initializing automatically, copying the RP exposure edits (Ext Exp. column) to a new hidden gradient in Lightroom (the HG Lum Leveling column in LRT). If you ever initialize again (Ctrl.-I), everything will be set back, but the original values from the Ramper Pro will again be transferred and used. I work in the Visual Workflow tab or mode as it offers the most features. When the initialization process is done, right click the Exposure 2012 column and hit initialize. (Normally this should not be necessary, LRT should do this automatically. But if you still see values in the Exposure 2012 column, do like Aaron said) This will zero out the Ramper Pro edits, allowing us to keyframe our own exposure preference, but the XMP leveling data from the ramper Pro is now preserved in the Lum-Leveling column above. At this point I usually create my first snapshot in the menu so I can get back to here easily. I create several snapshots as I work because otherwise there is no undo! Set a few keyframes manually or use the Keyframes wizard. If you use the keyframes wizard, just ignore the orange keyframes - just drag the slider until you have the desired amount of blue keyframes. You need at least the first and last frame keyframed to ramp anything. I don't go overboard here, only just a few to start my initial ramping like white balance (or no middle keyframes at all for shorter clips), then I'll add a few more as needed as I start looking at the previews later. Skip the Holy Grail Wizard, since it would do the same, that the Ramper Pro already did: level adjustments in exposure. 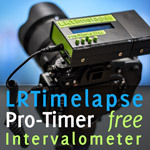 In fact it would overwrite the Ramper Pro leveling and let LRTimelapse do the job. If you want to use the Ramper Pro leveling, skip the Holy Grail Wizard. Click Save in the first row of buttons. Go to Lightroom and import your folder or read the metadata from the images if it's already imported. Select the LRT4 Keyframes filter and edit your keyframed images to taste. If you want to copy settings from one keyframe to another, DON'T copy/paste metadata anymore. Instead use the new sync keyframes script in the menu of Lightroom (a new menu item next to help). This keeps Lightroom from destroying the gradients, that used to happen all the time previously. You can now edit your exposure as you'd like, when we couldn't do this before. Save the metadata of the keyframes in Lightroom, go back to LRT, click reload in the second row of buttons, then auto transition to ramp your edits between keyframes and click save. Now, you can use the new visual previews if you'd like to preview your footage in LRT. You can even use visual deflicker with care if you need (particularly if you really ramped exposure a great deal between many keyframes), but typically you won't need this with the Ramper Pro. If you do use visual deflicker you need to hit apply and then save to take effect. 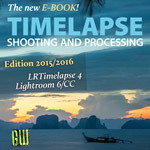 If you are happy with the visual preview (or you can skip it all together if you don't want to wait for a preview), go back to Lightroom, change your filter to the whole LRT 4 full sequence, reload the metadata to all the files (remember to do this in Grid View, for all Files (G, Ctrl-A, Read Metadata from files), and then export. You can render with either LRT4 or After Effects or Premiere Pro or whatever app you want. Sometimes, between steps 7 and 8, I'll decide I need a few more keyframes in areas that don't look as good as I'd like (white balance off, exposure, whatever). I'll set another keyframe and repeat steps 5 through 7 until I'm happy. Aaron, thanks for the write-up. With LRT4, I haven't even been using the .xmp files from the RamperPro -- I've just been using the Holy Grail wizard. It works incredibly well. Now that I know LRT4 can use the corrections from those .xmp files, I'll give it a try. Hi, thanks for the write up. I am using LRT 3. Will LRT3 read the RP xmp data without overwriting it? Oh, sure! Just don't change the exposure slider in Lightroom for any edits at all or you'll mess up the Ramper Pro deflickering. You'll have to use one of the ready-made gradients instead and apply it to the whole image if you want to keyframe exposure differences over time. LRT4 and the new visual deflickering made this a lot easier. Ahh very smart with the gradient!! Some(all) of my first attempts were very far exposed to the right and I knew if I keyframed the exposure then id loose the RP settings. Ive upgraded to LRT4 now though so should be easier. You might have to initialize the Exposure 2012 column in LRT4 after it copies the RP deflickering to a new column. At least that has usually been my experience. But after that you can use the exposure slider on keyframes in Lightroom now with LRT4. :-) Make sure you use the new script in LR to sync data between keyframes, to keep Lightroom from breaking the gradients and radial filters (as used to happen frequently with LRT3). You can copy/paste a simple adjustment like white balance, but let the new sync script do the rest and things will work far better!